Cake Boss - Bench scrape - Spatula confectioner Buddy is an American in every respect but also a man of the South, is a guy who works a lot and who runs a family business in which, on the one hand there are the sisters (Grace, Mary, Madeline and Lisa) various relatives and old friends, the other employees doing toe the line but who teaches the true art of pastry. Buddy is funny, exaggerated and boisterous, a bit 'as its cakes, monumental and sometimes a little' kitsch, but it is also a good pastry chef. Her cakes are famous in America and many celebrities, companies and associations, turn to him. Nicknamed Cake Boss, manages the bakery Carlo's Bakery Shop since 1994 and leads the television programs of culinary genre, often characterized by tones funny. It is known to audiences worldwide for his successful program Cake Boss, about baking cakes-sculptures. 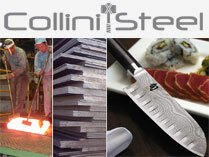 Cutlery Collini presents exclusive for Italy the new line of accessories for the pastry signed CakeBoss. The bakery line Cake Boss comes from the desire of the famous pastry chef Buddy Valastro to share his secrets with those who love the world of sweets and especially with fans of cake design. Nonstick pans from the spatulas, the sac-a-few with interchangeable tips to stencils for cookies and fudge, each instrument is designed to help aspiring pastry chefs to create true works of art. The range Cake Boss fact includes many proposals designed with great attention to be easy to use and beautiful to keep in your kitchen. With a Boss of cakes to their service, feel confectioners is easier and more fun. Cuocipollo Apollo (ideal for chicken, skewers, meat, fish, grilled vegetables, pizza and cooked fruit) Product Specifications: Based outside food in aluminum alloy 1050 brushed outside / inside unpainted - Drilled cola fat dish for vegetable stand, baking pizza and accommodation skewers 28 cm PTFE / PTFE. - Product height 10.5 cm Presentation in lithographed box.